Simon & Schuster Books for Young Readers, 9781416902324, 112pp. Being a mad scientist in the modern world is very hard work. With so much that needs to be done in such a short period of time, multitasking can become overwhelming. Franny needs some additional help. 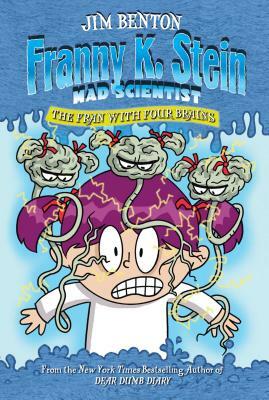 But for Franny there is only one person in the world she trusts to help her with her experiments: herself. So she acquires assistance the mad-scientist way…by building a few real, live, steel-plated Franbots!